Kraft Papers are among the popular paper types today. They are 100% Recyclable and Eco - Friendly. Brown Paper Bags made of Kraft Paper is most sought after. The rise in Popularity of Brown Paper Bags made of Kraft Paper is owing to the sophistication they add to the perceived value of the brand and the widespread awareness to move away from Plastic and Non - Recyclable paper as a part of CSR Initiatives by All-Big Brands and Enterprises. 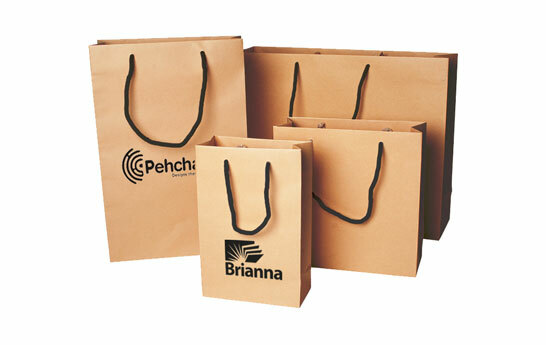 Brown Kraft Paper Bags are widely being used by Merchandizing Brands for Clothes, Footwear, Watches, Perfumes etc. Personalized Gifting Brands are also using Kraft Paper Bags. Hyper-Local Retail Outlets, Large Scale Grocers are also adapting to the change. We provide you with quality Brown Kraft Paper Bags, which can be completely personalized with your Brand Logo, Tag Lines, Contact Information in Color of your Choice. 100% Recyclable Eco friendly Paper. Weight handling capacity from 250 gms to 4 Kg. Order as Low as 10. Eco-friendly paper bags are used for a variety of purposes, almost in every store. Many people prefer to go green with a model of following a simple lifestyle. Using paper bags is a step ahead towards this green movement. They are very much in fashion, too. Polythene bags have a huge negative impact on the environment as they do not decompose easily. That is why the demand and popularity for printed brown paper bag go on increasing in the market. Paper bags are cheap, durable and biodegradable. If a paper bag gets torn, it can be reused because it is made of recycled material. We help you make a healthy living out of our environment-friendly paper bags online. Paper bags are recyclable and do not provide any harm to the environment. Brown Paper Bags made of kraft paper is most sought after by consumers. As a service provider, we take into consideration that our customers are moving to sustainable products, thus they would be expecting us to also contribute to the safety of the environment. Why Printstop’s paper bags are unique? Brown paper bags made of kraft paper has widespread awareness to move away from plastic bags and non-recyclable paper bags as a part of CSR Initiatives by all big brands and organizations. 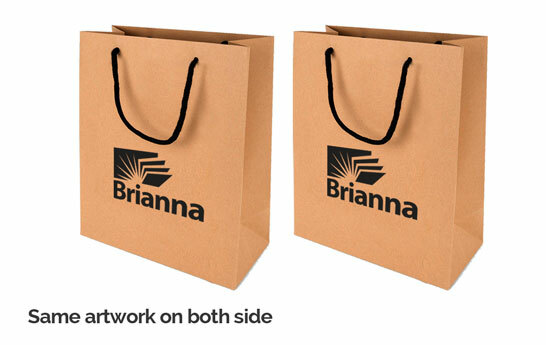 Using these paper bags adds sophistication and perceived value to your brand. PrintStop is a one-stop shop and is one of the best suppliers of paper bags online. We are dedicated to delivering extraordinary service because we truly understand our customers. We know that each product is unique and has distinctive features that may interest potential customers. The kraft paper bags will be delivered to your doorstep within 7 days from the date of order. Shop like a pro only with PrintStop, because we like to keep it right and simple! Contact PrintStop for more details.